Mr. Pierre was elected President of the regional accountancy body, the Institute of Chartered Accountants of the Caribbean (ICAC) in June 2017. He is the Principal of Anthony P Pierre & Co. Chartered Accountants, a member firm of the SFAI Network and Executive Chairman of Evolved Business Solutions Limited. He is also a former partner of Deloitte and Touche (Trinidad & Tobago). He is a fellow of the Association of Certified Chartered Accountants of the UK (FCCA), a member in practice of the Institute of Chartered Accountants of Trinidad and Tobago (CA), an associate of the Institute of Certified Financial Consultants of the USA (CFC) and a Certified Internal Control and Risks Analyst (CICRA). Mr. Pierre has over thirty-five (35) years experience in auditing and accounting; corporate finance; restructuring, liquidations and receiverships; risk management and training; the last twenty-six (26) years at organizational leadership level. He currently serves as Chairman of the Board of Directors of the THA Venture Capital Equity Fund Limited and of Junior Achievement Educational Trust (Trinidad & Tobago) Limited. He previously served as Chairman of the Chaguaramas Development Authority and on the board of directors of several private companies and two large credit unions. 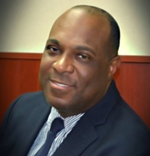 Mr. Pierre has served as a Council Member of the Institute of Chartered Accountants of Trinidad and Tobago since 2002; serving as president for three years from 2009 to 2012. He is also currently a Council Member on the Medical Board of Trinidad and Tobago. He was first appointed a Director of the ICAC in 2009 and has served as Secretary (2011 to 2013) and as Vice President (2015 to 2017); before being elected President in June 2017. Mr Pierre has chaired ICAC’s Technical Committee and represented the regional body at various international forums over the years.